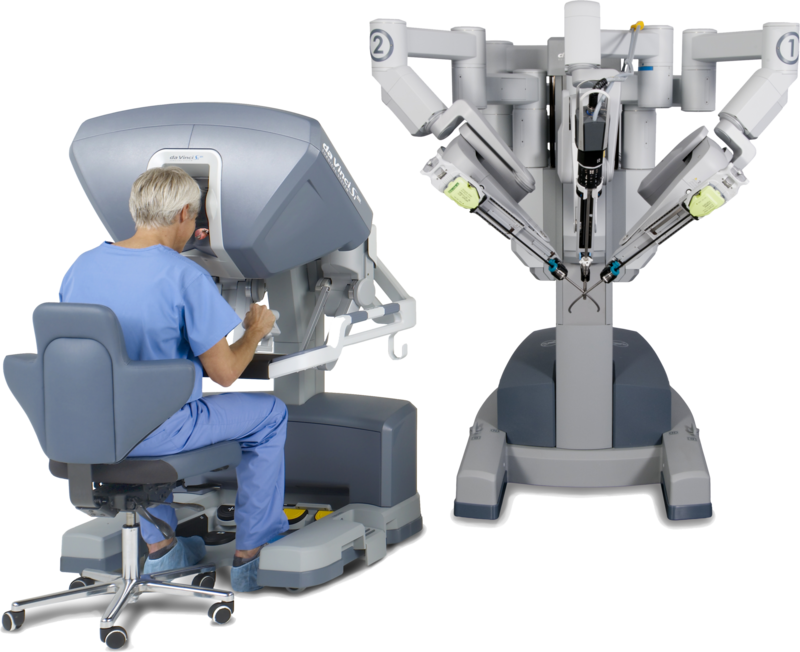 The da Vinci Surgical System is a tool that utilizes advanced, robotic, computer and optical technologies to assist Dr. Y with your operation. It does not act on its own and its movements are controlled by our surgeon. The da Vinci Surgical System has a 3D high definition (3D-HD) vision system, special instruments and computer software that allow our surgeon to operate with enhanced vision, precision, dexterity and control. The 3D-HD image is highly magnified, so Dr. Y has a close-up view of the area he is is operating on. The da Vinci instruments have mechanical wrists that bend and rotate to mimic the movements of the human wrist – allowing him to make small, precise movements inside your body.